OK - our main business lies in floor sanding and real wood floor installation services. 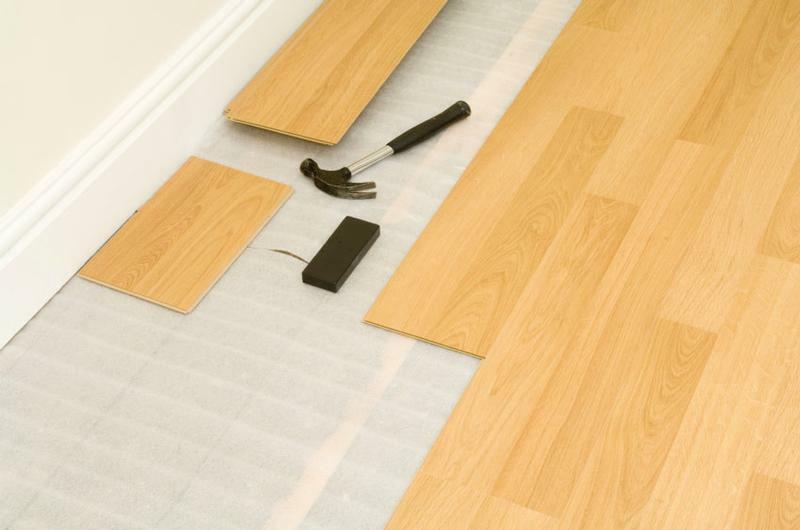 But modern materials have their value and place, so we also offer a complete laminate flooring service - involving the supply, preparation and fitting of the boards to your requirements. Laminate flooring is an artificial floor covering that looks like real wood flooring - or a natural stone hard floor. The appearance is provided by a photographic image of wood or natural stone, placed on top of a board made of compressed fibres. This is covered by a melamine wear layer - giving laminate flooring its famed toughness. Laminate flooring has become so popular not only because of its natural appearance, but also due to its quick and easy installation. 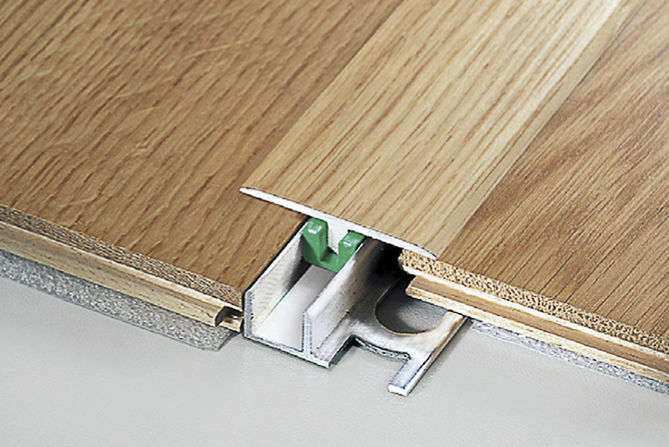 Most laminate floorings offer a click installation system - so there’s no need for any adhesives or nails. Laminate is extremely durable and resistant to wear. It is less likely to scratch than solid wood flooring and, being easy to clean, is ideal for a crowded and busy house. If the idea that your floor will require aftercare is off-putting - through time or regular expense - then laminate is the surface to install and simply leave alone to do its job. It scores highly on price, being cheaper than most other flooring coverings. Cost involves not only the flooring material, but the underlay and laminate floor fitting service - as well as beading installation. Laminate flooring is less sensitive to any temperature and humidity change in subfloors and the room environment than real wood flooring. The lifespan of the floor depends on the different grades of laminate flooring. At a minimum, under average use, this type of flooring will last for five years. Once the top protection layer of the laminate is damaged or worn out, the floor will need replacing. As in any other type of flooring, laminate has its special preparation and fitting requirements: in terms of the sub-floor and the surrounding interior elements, such as skirting boards, doors and door frames. Our flooring teams will be able to offer you advice and options for the edgings, trimming and door thresholds, to your requirements as permitted by your premises. They will collect and dispose of all the waste; and clean the floors – for you to enjoy your new floors straightaway. So call Us today for our One-Call Laminate Sanding Wood Floors. We’ll assess your rooms, inspect the subfloors, give you the best advice - and show you examples from our wide range of laminate flooring. You will receive a written quotation to your specification including the supply of the laminate flooring, underlay, edgings, thresholds and the service. You’ll get a competitive price- with no hidden extras. Our Laminate Flooring Range Sanding Wood Floors offers more than 180 products through the famous Quick Step and Balterio ranges. Choose from wood floor effects, natural stone effect, terracotta and parquet flooring patterns.